Across 2 Cultures - Cross-Culture Parenting and Lifestyle Blog: Ready for work! 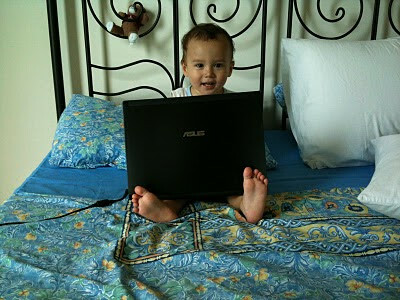 Yes, my little one and a half year old is ready for work! 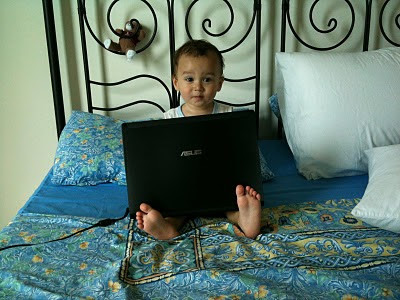 He's about to venture into the IT world like his papa! 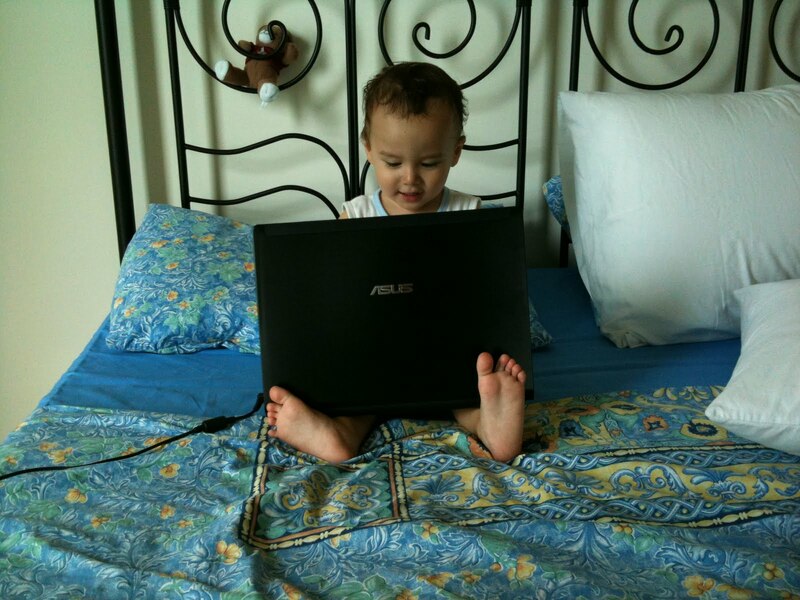 Loic: "Hahahahah.....I'm programming the new virus to conquer the world!" Loic: "Opps! You caught me!" Loic: "Can I get away with giving you one of my cheeky smile?" This boy just loves the computer (which he calls "PUter") and the handphones (which he calls "pone"). And not forgetting all the chargers and plugs. He face just lights up when he can fiddle with the power point and the charger/plugs which we firmly tell him "NO, it's dangerous! ".